Reflecting back, Award of Excellence recipient Michelle Foisy says it was her residency program in the late 1980’s which was the catalyst that launched her career and sparked a keen interest in a relatively new infection called Human Immunodeficiency Virus (HIV). With 30 years’ experience as a pharmacist, and in her current role as an HIV clinical pharmacist with the Northern Alberta HIV Program (Royal Alexandra Hospital site) since 2002, Michelle has made enormous contributions to the delivery of exemplary patient care. 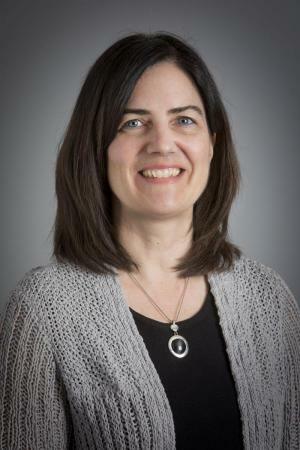 Not only has Michelle been a co-investigator and co-author on a number of conference abstract presentations, and publications, she has also contributed to the development of numerous important patient care protocols. Among these include her leadership in updating and implementing the most recent version of the Alberta Health Services and Covenant Health HIV Perinatal Protocol. This protocol is essential in guiding management of HIV-infected pregnant women and preventing transmission of HIV to the neonate. Michelle believes in the importance of direct patient care. As HIV is a chronic life-long disease, the key to success is developing strong relationships with patients. As a clinician in a collaborative practice, she assists physicians in selecting the best treatment for a patient while taking into consideration drug resistance, concurrent diseases, drug interactions, lifestyle issues and patient preferences. To provide this level of patient care in a complex rapidly evolving field you need the right clinical tools and drug information platforms. Michelle is co-editor of the “Handbook of HIV Therapy” which was distributed to health care practitioners across Canada. Michelle has also contributed to the development and updating of the drug information section of the Toronto General Hospital Immunodeficiency Clinic website and is currently collaborating on a drug interaction app for HIV and hepatitis C.
A believer in lifelong learning and giving back to the profession, Michelle gives her time and knowledge as a preceptor and mentor. She is also an accomplished educator. Michelle has been a seminar facilitator in the area of HIV for the undergraduate program at the University of Alberta’s Faculty of Pharmacy and Pharmaceutical Sciences.